Log Cabin Cost - what affects your bottom line? How much does a log cabin cost? Well this is the million dollar question and one that is not easy to answer. However it is possible to give you some kind of comparison to other types of construction and let you know what can really have an impact on the bottom line. Remember, as always, no two log cabins from different companies are likely to be exactly the same, so always make sure you take any differences in materials or specification into account, even if the design is basically the same. Getting a log cabin cost is much easier for a standard off-the-shelf design than something which is bespoke or custom designed. Many smaller log cabins which are massed produced will be cheaper than a similar sized custom unit. However,' is the design really what I want?' is the question you must ask yourself! If the design is fine, or the compromise is so small that the saving on the price outweighs it, then a standard design could be a good choice (all other things being equal). Be particularly careful if the log cabin in question is your home. Is it worth saving a little, only to regret the fact that you really wish you had gone for something that worked better for your family? 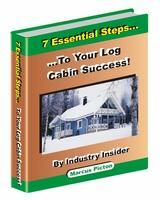 Log cabin design can easily be changed on a CAD computer program, but once they are built they are not easy to alter, as the logs are all joined together and form part of the overall structure. The basic timber itself is going to have quite an influence on the price. The better quality the timber, the more it will normally cost. The adage “you get what you pay for”, really does apply in this case. Don’t forget though that many log cabins are imported and therefore the currency exchange rates come into play. It pays to keep a close eye on the exchange rate in question, as a significant change can really alter your log cabin cost. It may be worth considering taking some advice from currency brokers and, if you see a particularly good exchange rate, locking into it by using a forward contract. These are normally quite reasonable and can be done a long way into the future. This acts as a great insurance policy against future currency movements. 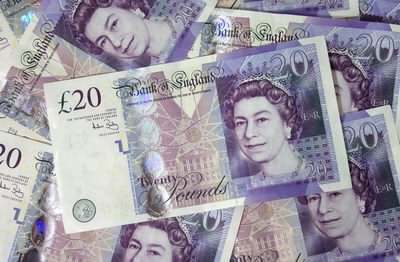 If you are buying from a log cabin distributor in your own country and paying in that currency then you still need to be aware of exchange rates. 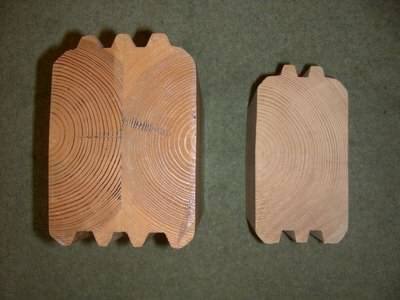 This will affect the price they can purchase at from their log manufacturer and therefore what they can offer you. So how does log cabin cost compare with a masonary structure, or even timber frame, for example?? Well it really depends on what type of log cabin you are going for and where you are. If you are looking to do a very basic cabin with no insulation walls, then a log cabin can compare very well to other types of construction. The great thing is the log in an un-insulated cabin will act as the finished surface internally, so no extra work is required here and it could be significantly less money. For a fully fledged, well insulated and high quality log cabin, the cost would probably be broadly similar to a brick or block-built house, once you take all aspects into account. Timber frame construction would probably come in slightly cheaper for larger cabins, such as houses, but for smaller more budget cabins, logs will usually price out well. There is no global rule on log cabin cost. However, as things change from country to country, you must do your own research. Log cabins do vary enormously, so try to take into account the total weight of timber that goes into your log cabin. A log cabin constructed from 70mm thick logs will cost considerably less than one using say 114mm logs. But, also ensure you factor in that the thinner log is a much less dense timber. It is easy to see that you could have at least twice the weight of wood in the second option! Although your log cabin cost is higher with the second option, if you were only paying 50% more, for over double the weight of timber overall, would it be a bad choice? Always try to compare like with like and don’t be fooled by the appearance only. The logs themselves vary a lot in thickness, shape, wood type, age and even how they are made. You can get laminated logs which are a fantastic product but will cost you more. (You can find out more detail on log types in another section on this site.) Windows and doors and as well other aspects like flooring, insulation, fire treatment etc can also dramatically alter your bottom line. If you find comparing very hard, try making a comparison spreadsheet to help you to be more objective in your choice.